It's a recipe made in heaven! 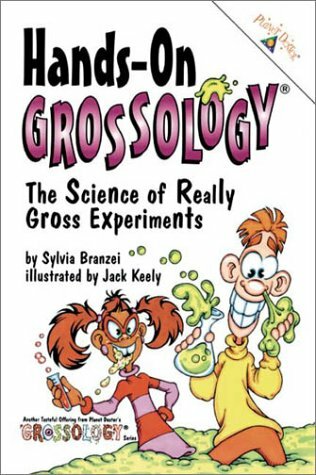 Sylvia Branzei's wildly disgusting scientific facts and Jack Keely's zany, totally gross art come together in the newest book in the best-selling Grossology series. So dig in and get those hands dirty! Measure your pee pee capacity...make some fake snot...or test your aim with a spit-o-matic. It's stealth learning at its finest served up cookbook-style in nearly 40 sound, completely hygienic, and safe experiments to whet kids' appetites for everyday scientific marvels. 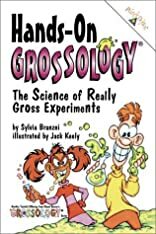 You've seen books with experiments and gross cookbooks, too, but nothing beats this dynamic duo's proven ability to bring the science of things slimy, mushy, oozy, crusty, scaly, and stinky home to kids!